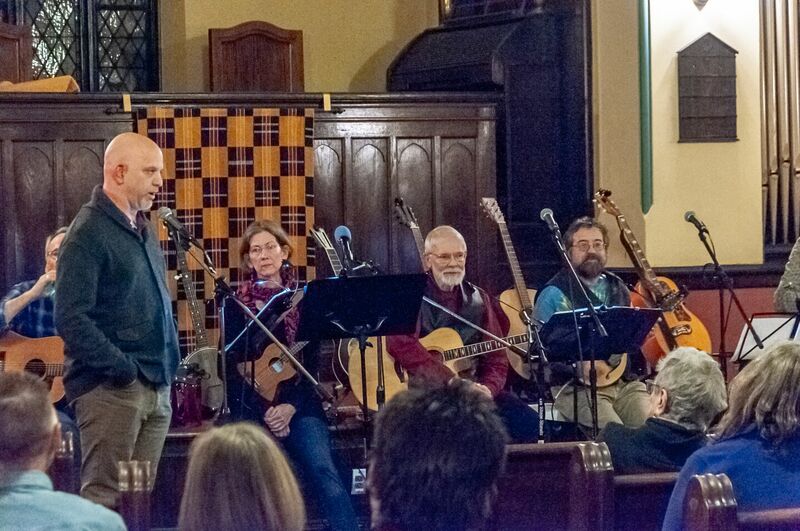 This “Do Something Church” did a great thing with an evening of great music for a great cause! 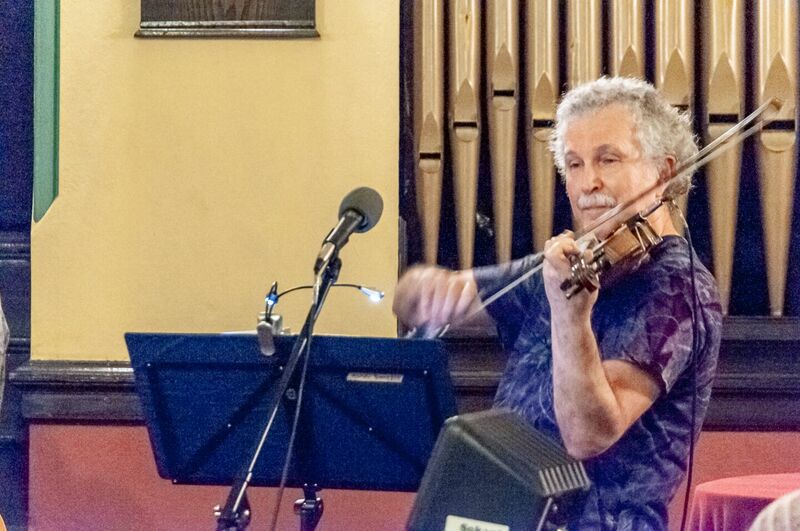 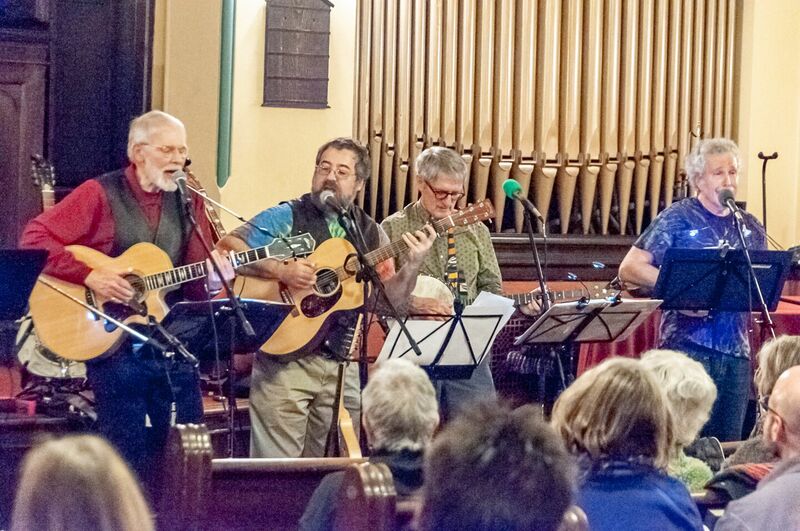 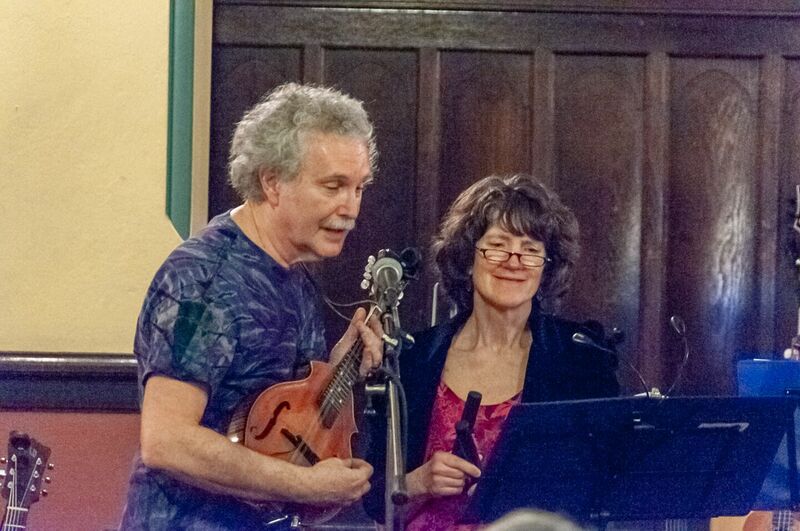 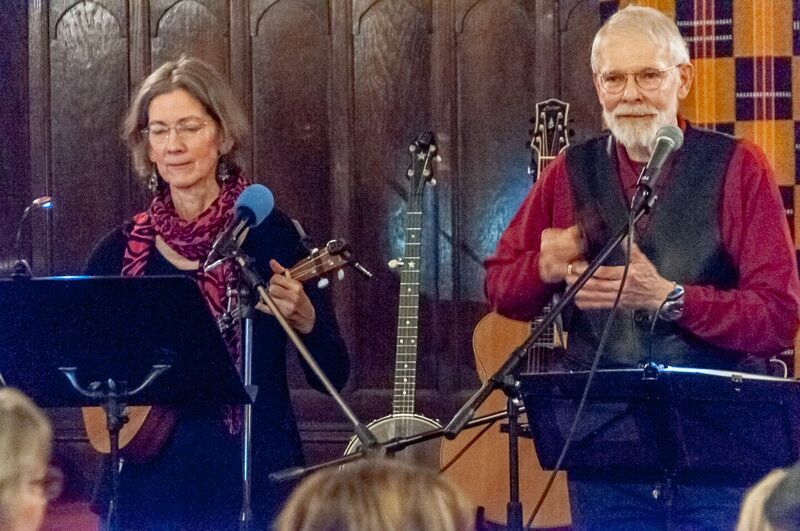 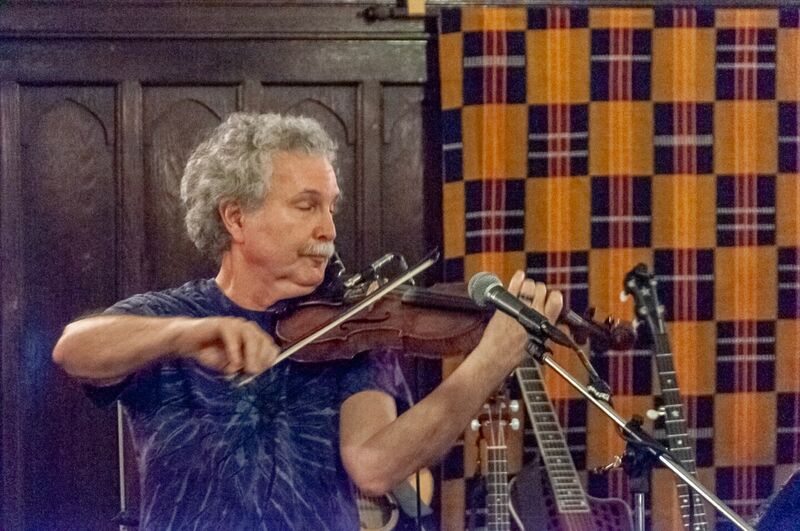 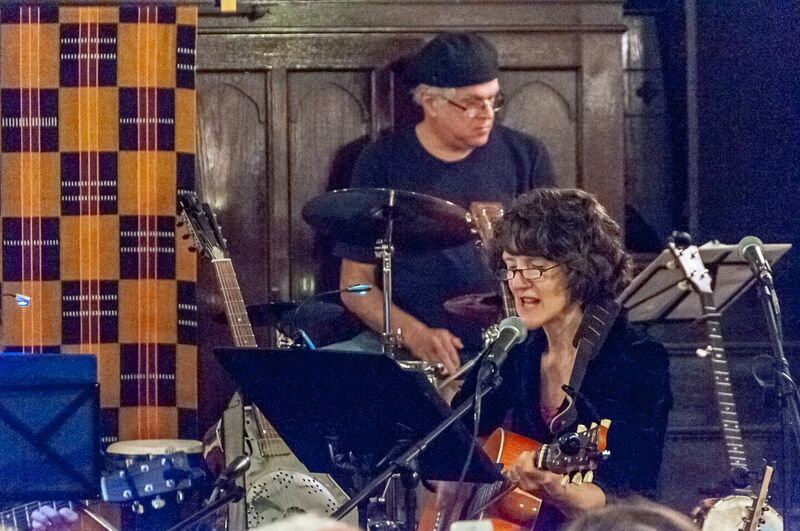 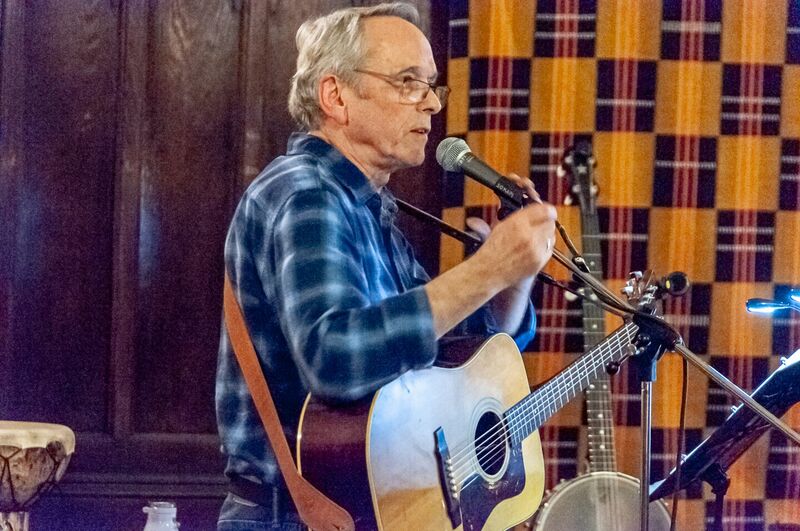 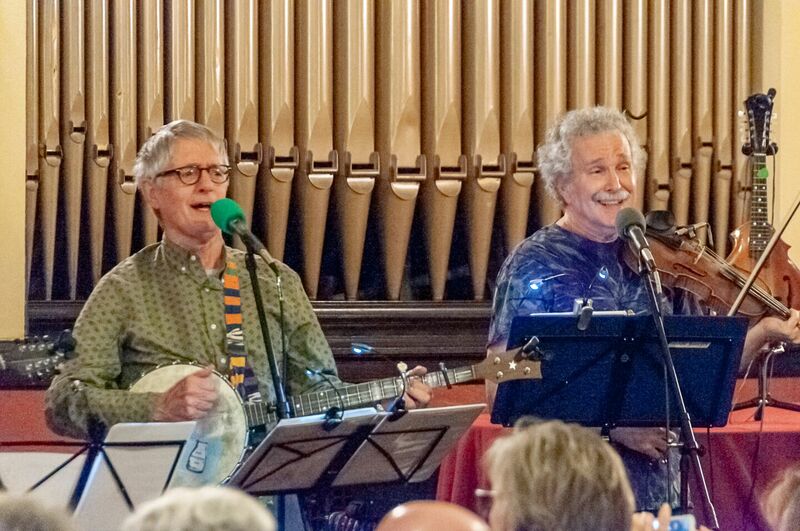 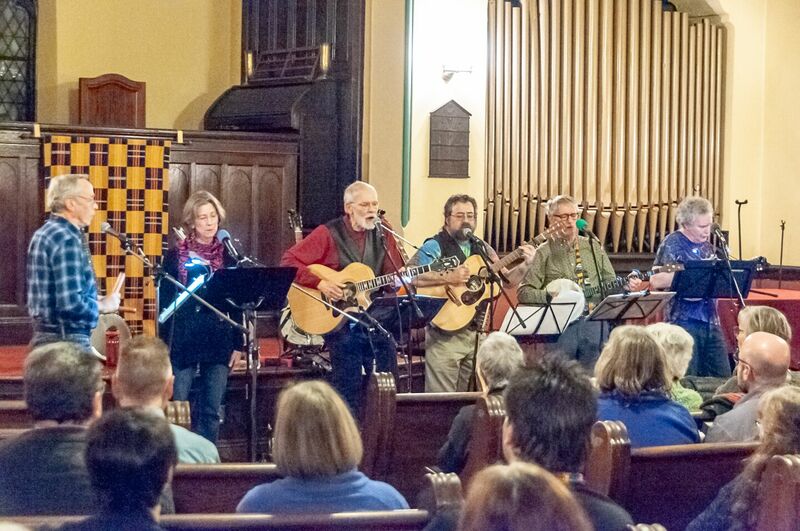 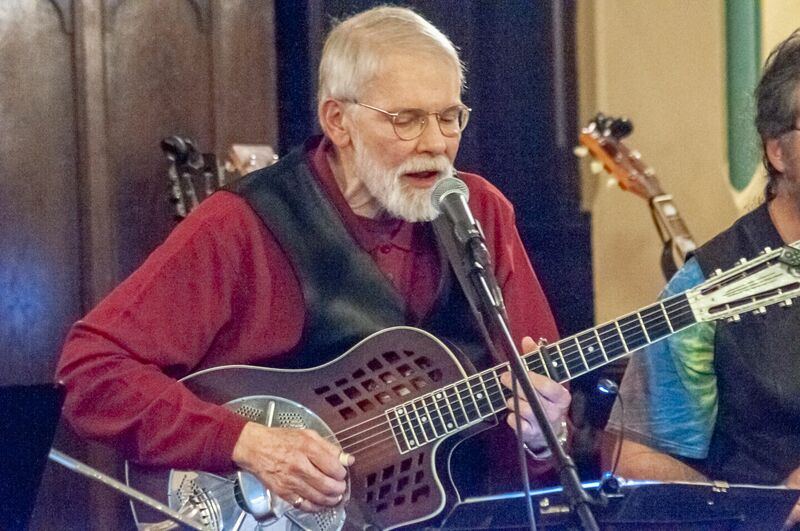 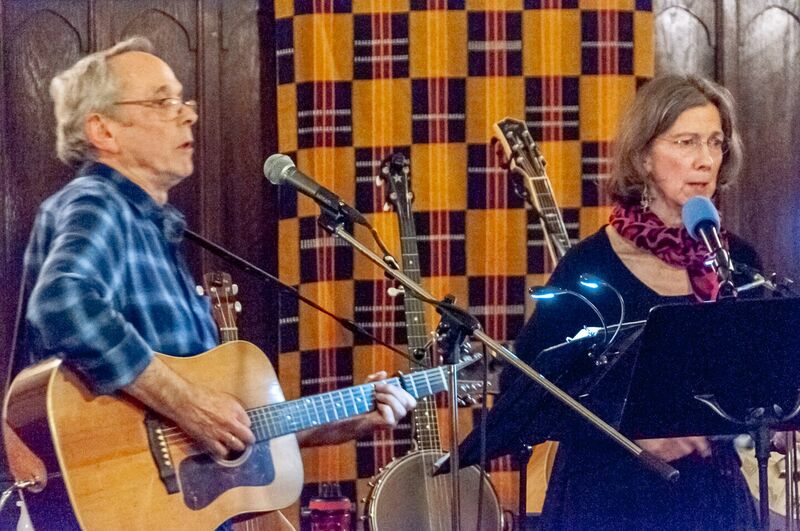 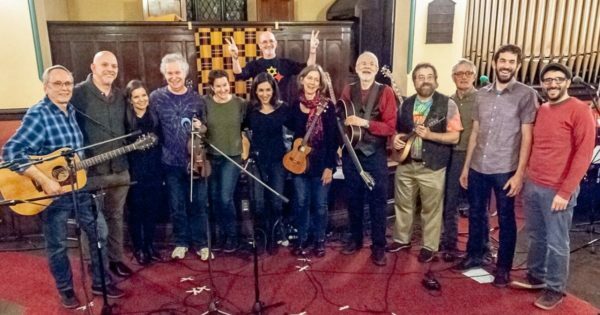 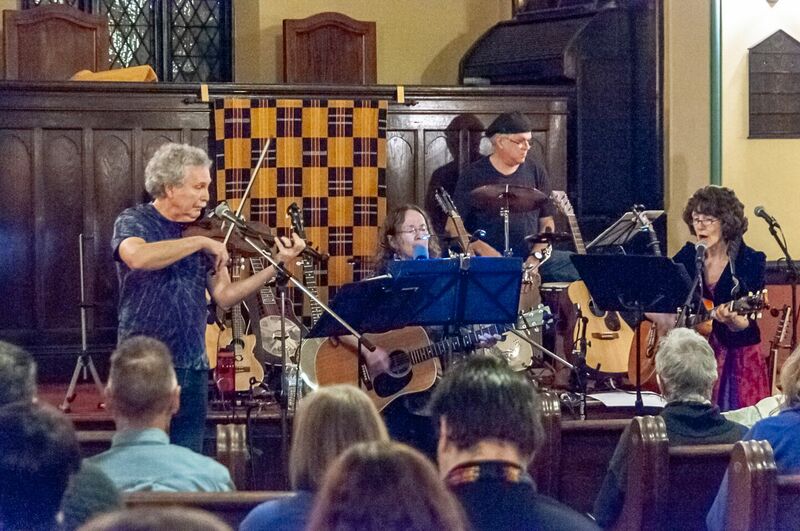 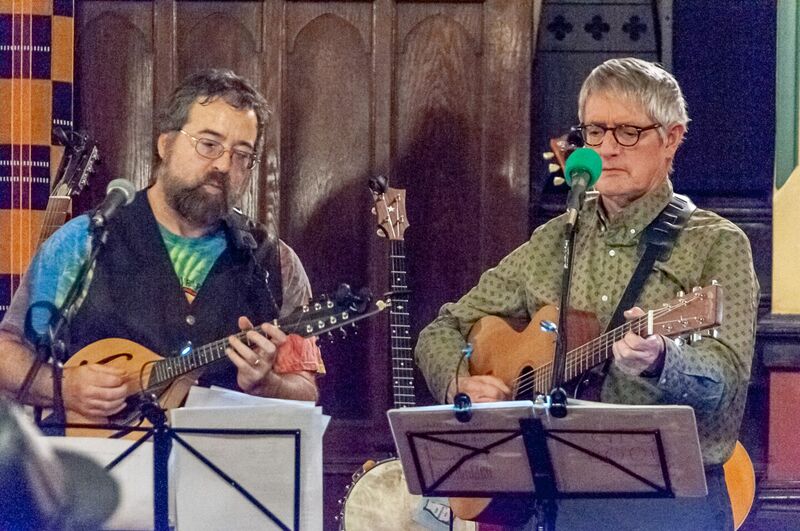 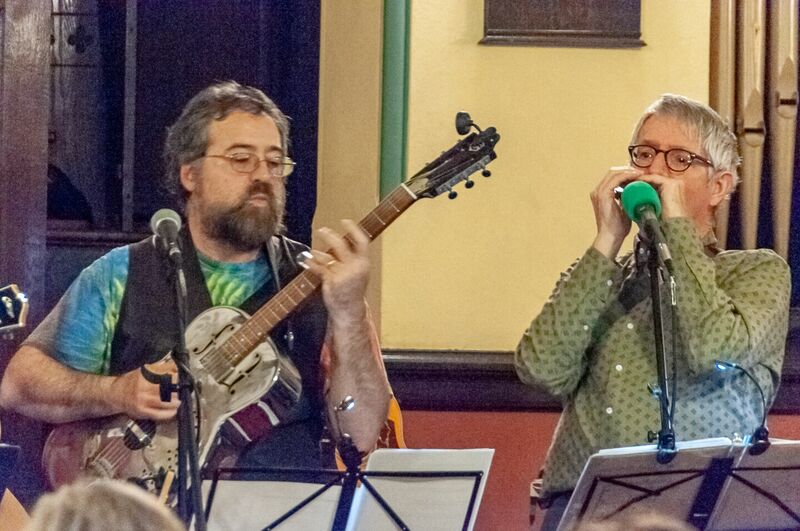 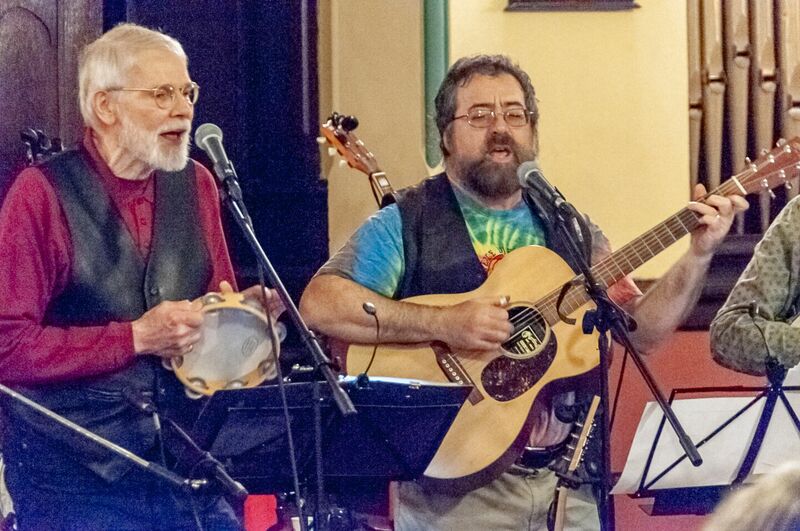 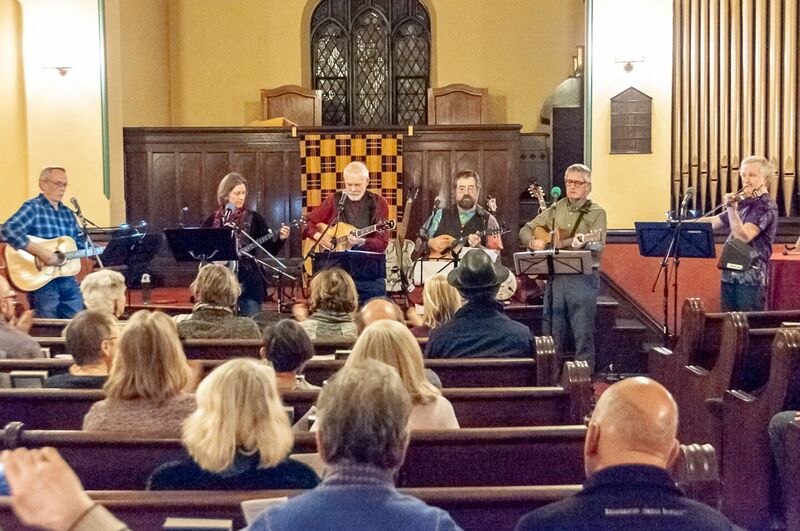 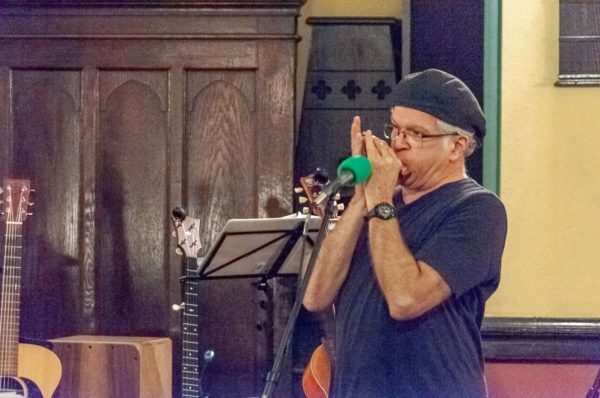 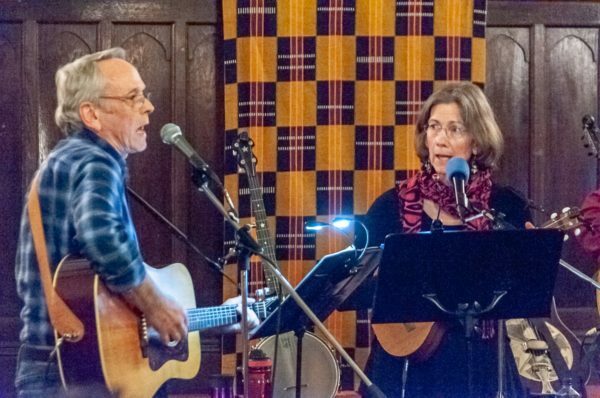 Allegheny Unitarian Universalist Church hosted a benefit concert for Bend the Arc Pittsburgh on Saturday February 23 and raised over a thousand dollars. 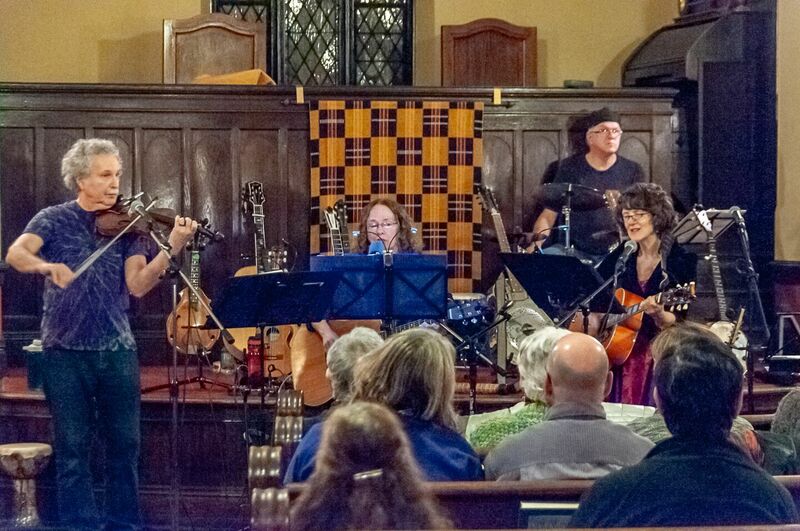 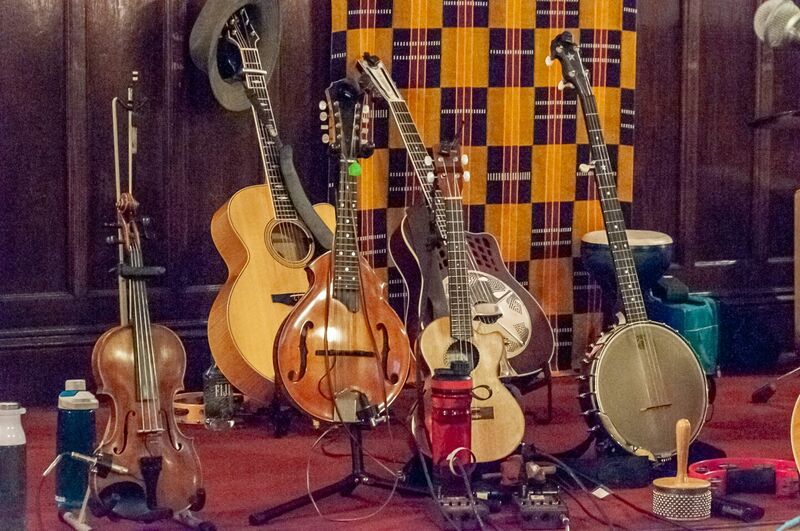 The members of Smokestack Lightning play guitars, dobro, fiddles, banjos, mandolins, ukuleles, double bass, and sing 3+ part harmony, with a wide range of musical styles from fiddle tunes to 1920’s blues to 1930’s Union songs to Grateful Dead and Bob Dylan covers, plus original tunes. 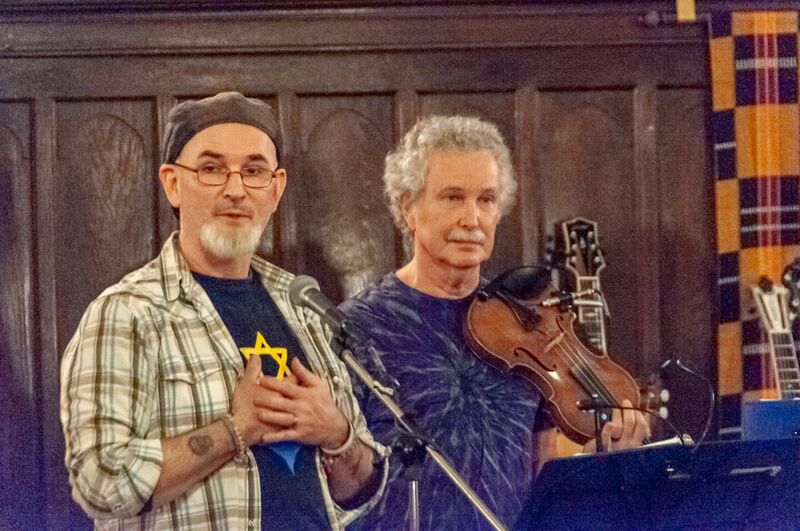 Bend the Arc Pittsburgh is part of a national movement of tens of thousands of progressive Jews that believes in the beautiful but unfulfilled promise of this country as a land of opportunity, justice, and equality for all. 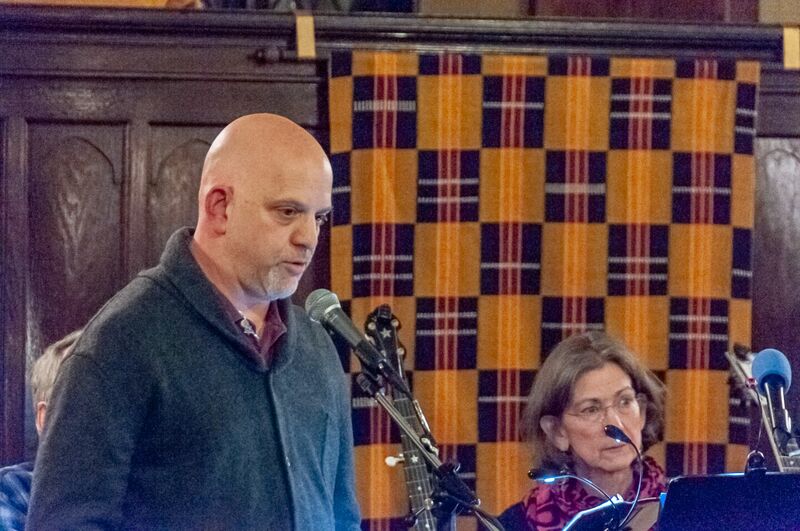 In the face of racism, inequality, and the politics of fear, we are asked to rise up with courage to act boldly for justice, believing that together we have the power to transform this country. 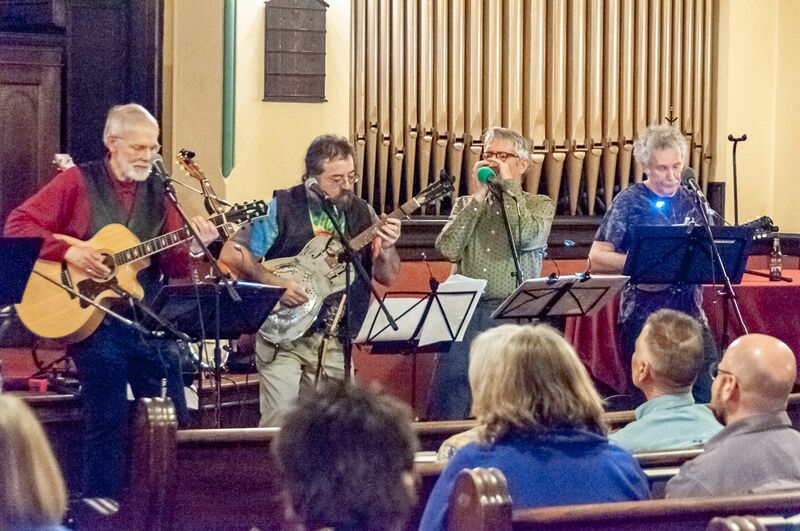 “The “Smokestack Collective” worked hard to put on a rocking show on the 23rd at the UU Church. 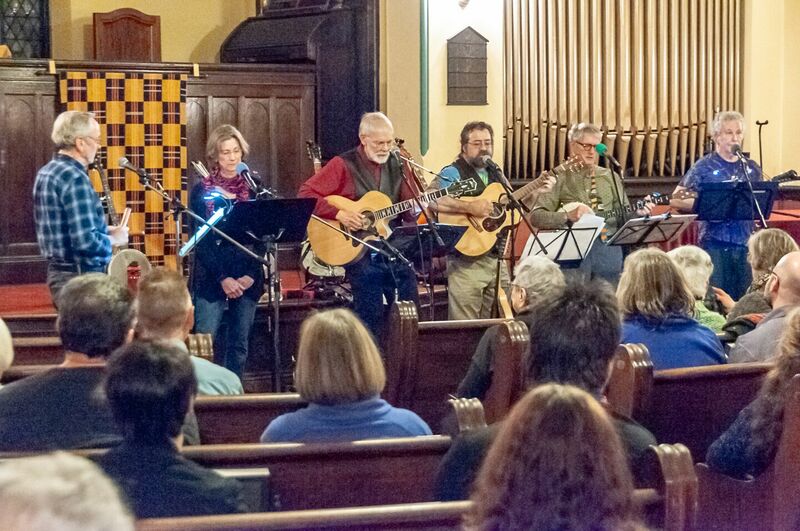 Refreshments were graciously donated by Deutschtown’s Bistro to Go. 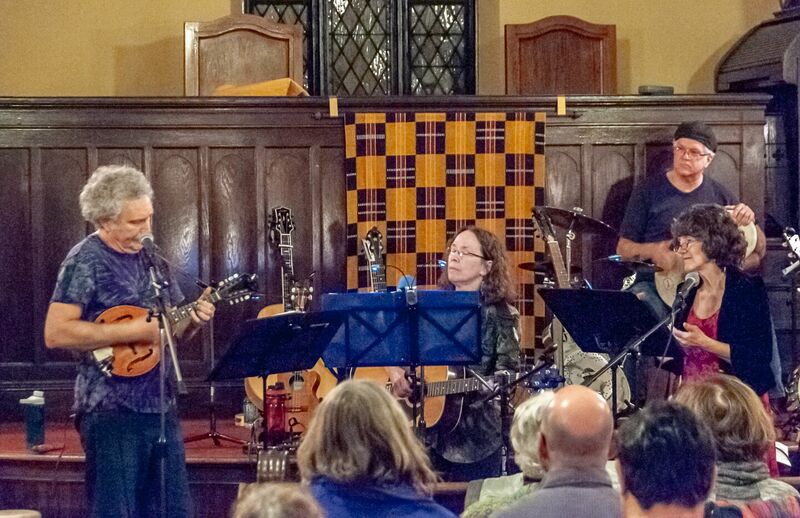 Images courtesy of Greg Blackman.